NHS spending is out of control at nearly four in 10 hospitals and local bodies, according to Government inspectors. 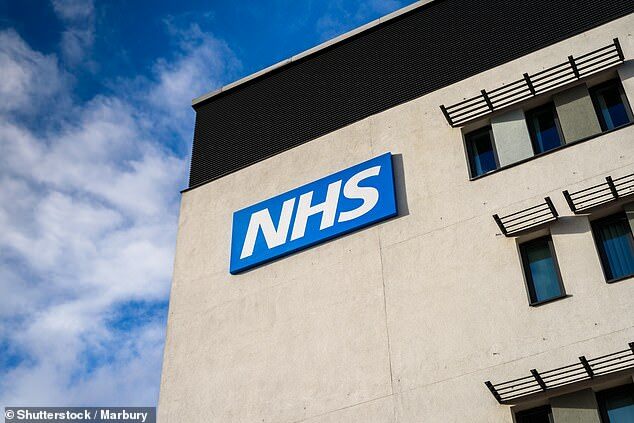 The National Audit Office, which scrutinises public spending, called the findings in its report ‘shocking’ and accused the NHS of ‘not listening’ to experts. And the problem is getting worse – the number of hospitals being criticised by auditors for failing to balance their books and overspending has risen by a third in two years. The damning figures come after the NHS last week announced a plan for how it would spend a promised £20.5billion budget boost amid warnings the money would sink into covering day-to-day costs and debts. Both major hospitals and local sections of the health service came under fire in the NAO’s report. Some 36 per cent of hospital trusts filed accounts which raised concerns about their finances – a rise from 26 per cent two years ago, The Telegraph reported. And 32 per cent of clinical commissioning groups – which run local health services – had worrying spending levels, more than triple the 10 per cent two years ago. ‘This is not good enough,’ said Amyas Morse, head of the National Audit Office. He added: ‘I am shocked by the persistent high level of qualified audit reports at local public bodies. ‘A qualification is a judgement that something is seriously wrong, but despite these continued warnings, the number of bodies receiving qualifications is trending upwards. HOW WILL THE NHS’ 10-YEAR PLAN SAVE LIVES? The NHS and Government say their new 10-year plan will save up to 500,000 extra lives over the next decade. The NAO’s report assessed the accounts of NHS trusts and local councils across the country to see how many had been flagged up by auditors. Councils were far better performing than the NHS, with only eight per cent of them causing concerns about value for money. Overspending in the health service risks wasting taxpayers’ money and reducing their confidence in the organisation, the NAO said. It warned some places had ‘significant weaknesses in their governance’. Most cases in which NHS bodies were reported involved them not making big enough savings and missing their financial targets. Meg Hillier, an MP for Hackney in London and the chairman of the Committee of Public Accounts, said: ‘It is deeply concerning that local auditors are raising increasing numbers of concerns about local bodies’ arrangements to secure value for money, but these are often not being listened to and there is no consequence for the local bodies themselves. Last week NHS bosses laid out their plan for how a £20.5billion budget boost would be spent as it is phased in before 2024. Promises of tailored cancer care for children, improving testing and treatment for heart attacks and strokes, and more preventative healthcare were headline-grabbers. But analysts have warned the £20.5bn could just be eaten up by the rising costs of caring for the elderly, hiring more staff and paying for more expensive drugs.